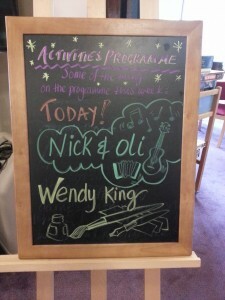 OPUS Musicians Nick Cutts and Oli Matthews have been visiting Nottinghamshire Hospice on an (almost) weekly basis on Thursday mornings from September 2013 to February 2014, making music for and with patients. 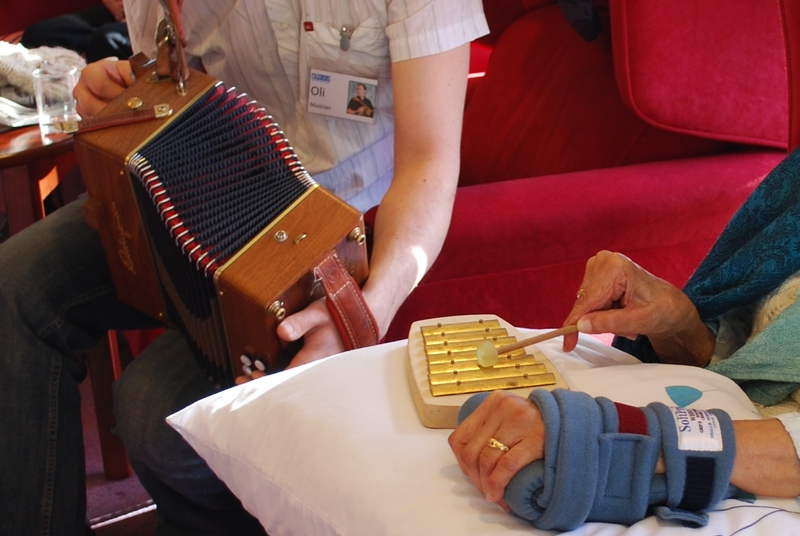 Patients, volunteers and staff have engaged with the music, some enjoying simply listening, while others have played and sung along, sometimes making their own music using OPUS’ collection of instruments. We have discovered musicians, new (and old!) music and memories throughout. This has been an extremely enjoyable and rewarding project, and we hope to return in the not too distant future. Many thanks to Nottinghamshire Hospice, Creative Art Therapist Co-ordinator Andrea Grealy and funders including the Doyly Carte Charitable Trust and The Sir John Sumner’s Trust.